Just to get this out of the way - here's a few things that are pretty important for Imperial Knights players! First, we only get the Command Benefit of +3 Command Points for a super-heavy Detachment if we include at least three Questoris and/or Dominus chasis Imperial Knights in any combination. Meaning Armiger chasis Imperial Knights do not count toward the Command Benefit requirement. In other words, you're not allowed to spam Super-heavy Detachments of 3 Armiger chasis Knights and hope that you get 9-12 Command Points. Yup. So if you want to take Armiger Knights in a Super-heavy Detachment, make sure you take 3 other Questoris and/or Dominus chasis Knights or you won't be getting the extra 3 Command Points. Ouch. Source is from WinterSEO's review of the Imperial Knight codex. 1. Cunning Commander that allows us to re-roll one failed saving throw or wound or hit per battle, and if your army is Battle-forged, you get a bonus Command Point. 2. Ion Bulwark. Your Warlord's ion shield save becomes 4++ instead of 5++ (against ranged weapons or shooting). 3. Add 1 to your Warlord's Attack Characteristics. 4. Add 2 to the charge and advance rolls of any Knights within 6" of your Warlord. 5. Choose a non-Relic/Heirloom weapon on your Warlord. Each time you make a wound roll of 6, you deal a mortal wound in addition to the normal damage. 6. Fearsome Reputation. Enemy units must subtract 1 from their Leadership when within 12" of your Warlord, or 2 if they're within 6" of your Warlord. Sir Hekhtur and Canis Rex have Fearsome Reputation. Terryn - you can re-roll failed charge rolls for your Warlord. Griffith - immediately after your warlord completes a charge, choose one enemy unit within 1". Roll a D6 and on a 4+, that unit suffers D3 mortal wounds. Hawkshroud - at the start of your first battle round, but before your first turn begins, select one unit in your opponent's army, and add 1 to your hit rolls that your Warlord makes against that unit. Cadmus - reduce all damage suffered by your Warlord in the fight phase by 1, to a minimum of 1. Mortan - subtract 1 from hit rolls made by shooting attacks against your Warlord from more than 18" away. Raven - add 1 to the saving throws you make for your Warlord against attacks that are AP -1. Doesn't affect invulnerable saves. Taranis - every time you roll a wound roll of 6+ in the shooting phase, improve the AP of that attack by 1, so AP -3 weapons become AP -4 when you roll 6+ for your wound rolls. Krast - re-roll hit rolls of 1s for your Warlord. Vulker - Wound rolls of 1, 2 and 3 made against your Warlord always fail, even if the attack has the Strength characteristic higher than your Warlord's Toughness. And you can take a Freeblade in the same Detachment as your other Imperial Knights. However, they do not get Houeshold Traditions (obviously). But they contribute to the 3 Command Points Command Benefit if you take them and don't have points left for another Questoris chasis or something. And here are the Household Traditions! House Terryn really, really wants to get into combat, and this will help you with long charge rolls. Not bad, especially if you combine it with the Warlord, you'll always almost get that necessary roll despite being too far away. House Raven is really amazing, especially for Armiger Warglaive Knights who are armed with assault weapons. Your Armiger Warglaives, which already have a great 14" movement, can advance further and still fire their thermal spear and meltaguns without suffering any penalties! This also helps your Knight Valiant or Knight Errant or Knight Warden! Particularly for Knight Valiant and Knight Warden, their heavy flamers or triple barrel conflagration cannon can fire if you advance them! So if you're building an army that runs Armiger Warglaives, Knight Wardens or Knight Valiants, then House Raven is for you. House Griffith is really good for mass melee attacks. Making use of Titanic Feet, you can have them run rampant with 5 Attacks - which become a whooping 15 Strength 8 AP -2 D D3 attacks, and if you decide to take the add 1 to Attacks Characteristic Warlord Trait, your Walord will be able to deliver up to 18 Strength 8 AP -2 D D3 attacks with his Titanic Feet! You'll be stomping hordes to oblivion with this House! Take note it's not that useful for the Armigers - well, your Armiger Warglaives will get an extra attack with their tiny reaper chainsword, but...it's not as good for them as the other chasis. House Vulker is the shooty House. It is limiting in that you'll have to target all the nearest enemy units first if you want to maximize the benefits you get from this House, but I guess the point is to destroy the closest enemies first, so cool enough for me. It works very well for close-range shooting weapons like Knight Warden or Knight Valiant or Knight Errant, and even for your Armiger Warglaives! In fact, even your Knight Castellan, Knight Paladin and Armiger Helverins will still benefit somewhat if you know how to choose your targets accordingly, so not bad. Position your Knights properly and they should be able to maximize the re-rolls of ones. Yes, House Mortan is straight-up better. Not only that, House Mortan also has the arguably better Warlord Trait (among the best among all Warlord Traits). Funnily enough, your Warlord is supposed to stay far, far away from your opponent's units as much as possible to benefit from his Warlord Trait, but his subordinates and other Kights will be wanting to charge in and fight as much as possible. Wow. Okay, I don't know if Warhammer 40,000 Facebook page will release the remaining 3 Knight Houses, but I'll just post them here first (and add them into this post later if they do). House Hawkshroud (Oathkeepers) is one of the best Household Traditions - basically double the number of wounds when determining the characteristics of your Knight - so even if your Knight Dominus has 13 wounds left, he still counts as having 26 wounds when you want to determine his BS, WS, movement and attack characteristics. This is just freaking awesome! House Taranis (The Omnissiah's Grace) is also another of the best Household Traditions. Whenever a Knight takes an unsaved wound, roll a D6. On a 6+, that Knight doesn't take the wound. Basically a 6+ Feel No Pain for your Knights! Cool! Another awesome Household Tradition. House Cadmus is the last one, and if I'm not mistaken it's Hunters of the Foe. Re-roll wound rolls of ones in the fight phase against units with Wounds Characteristics of 12 or less. Uh...well, pretty much guarantees that you stomp all infantry into oblivion, and isn't so bad against Toughness 5 infantry or even vehicles such as Leman Russ tanks who only have 12 wounds. I guess? Anyway, I'll let you guys know when I get more information on Imperial Knights! 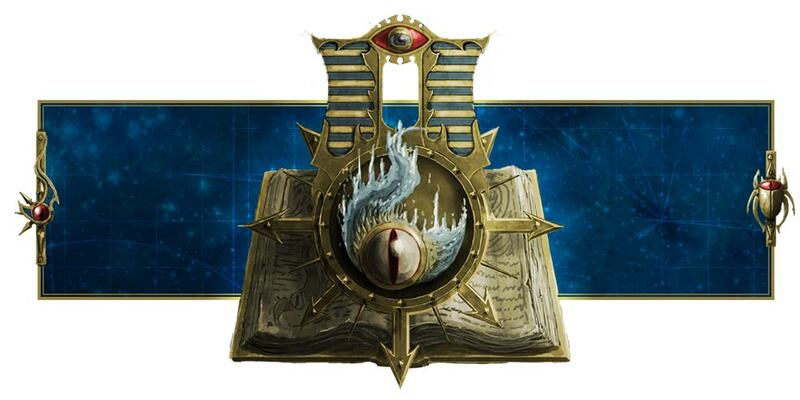 One thing to keep in when comparing House Krast and House Mortan--Admech gets access to Machine Spirit Resurgent and Grace of the Omnissiah which are two of the best stratagems in the book. House Mortan does get the +1 WS, and that does help when they get damaged, but they still slow down. With one CP, you can make a House Krast Knight move, shoot, and fight like it's undamaged. That's a big deal and does help even up the balance.